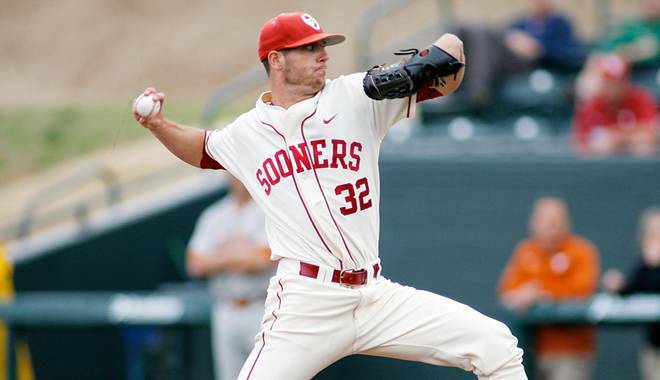 The highly-anticipated commencement of Major League Baseball’s 2012 first-year player draft is finally over, with the first round and supplemental first round of action set to take place tonight at 6 p.m. ET on MLB Network. One of the biggest storyline surrounding this year’s Draft has been the clear lack of positional talent from collegiate-level prospects and the profuse abundance of high school positional players. This year’s class boasts a myriad of talented prepster that teams are likely to jump on in the early goings of the first round. 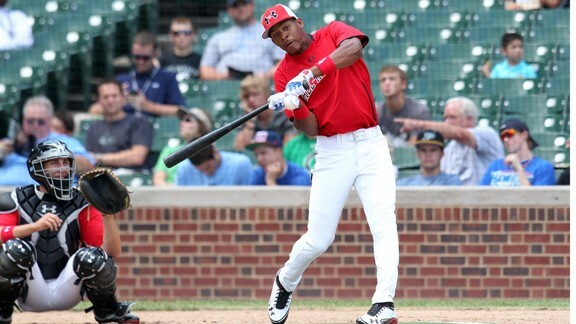 Leading that crop is 18-year-old outfielder Byron Buxton—quite possibly the draft’s most intriguing prospect. Hailing from Appling County High School (Ga.), Buxton has long been credited for having the most helium of any prospect of this year’s class — and for good reason. 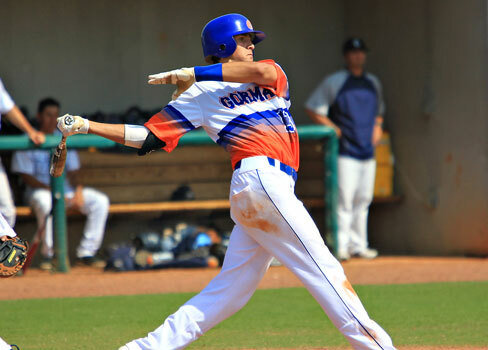 The 6’2″, 190-pound Georgia University commit has all the tools in the toolbox necessary to become a smash-hit at the big league level. He’s shown the capacity to hit for average and power, use his tremendous speed and athleticism whenever needed and flash a strong arm from the outfield when necessary. 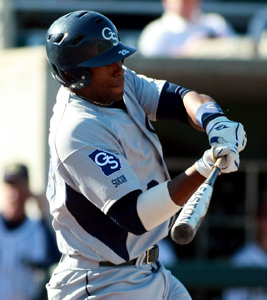 Buxton’s makeup has drawn comparisons to Tampa Bay Rays outfielder B.J. Upton. But when it comes to drafting toolsy high schoolers, there’s always a great deal of risk involved — especially when the player is projected to be a surefire top-five pick. 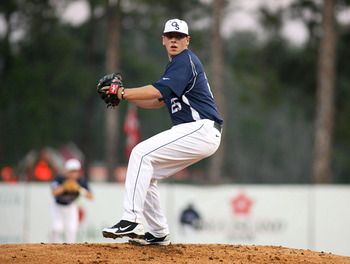 Many former prepsters have failed to pan out and reach their potential on the diamond, whether it be because they’re pushed through a system too fast or professional pitching simply overwhelms them from the get-go. Regardless, Buxton clearly looks like a lock to go in the top-three. The question many are now asking is how his career could pan out. Here’s a shortened look at how the career of the 2012 draft’s most intriguing player might look like. Easily the most noticeable characteristic to Buxton’s game is his bat, which has a chance to be a lethal weapon at the big league level. While he hasn’t flashed his power-potential in the form of home runs that much this spring, his power has revealed itself consistently at recent showcases around the country. 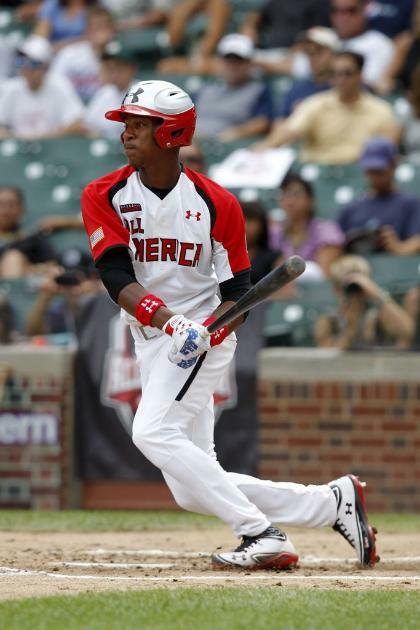 Buxton finished second only to fellow prep outfielder Lewis Brinson in last year at Wrigley field at the Under Armour All America Game. Given his already advanced approach at the plate and ability to make hard contact, I wouldn’t be surprised if he develops into a 20-25 home run each year type of hitter at the next level. More realistically, I’d say he’s got what it takes to hit 15-20 home runs on a yearly basis in the bigs. For as much attention as Buxton’s bat will receive as his career gets started, it’s his defensive aptitude that should get equal if more attention. With quite possibly the Draft’s quickest feet, Buxton covers a ton of ground in the outfield. 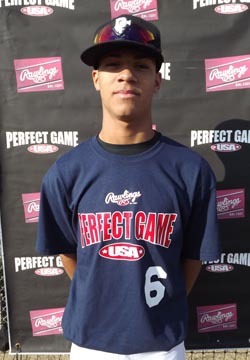 The bulk of his experience during his high school career has come as a center fielder, though if the team that drafts him has a cornerstone centerfielder already in place, it wouldn’t be surprising if they groom him to play a outfield corner position. Considering his tremendous range and arm strength from the outfield, I’d say he has the makeup to be one of the best defenders in baseball — essentially a highlight-reel waiting to happen. Arguably the most athletically gifted player featured in this year’s class, Buxton consequently possesses deadly speed that he utilizes both in center field and on the bases. It should be interesting to see how Buxton’s quickness and subsequent success on the bases translates to professional ball, where catchers will much more advanced compared to those he faced in high school. However, seldom do scouts describe a player’s ability to steal bases as “easy”. With some time in the minors, I’d say Buxton will have enough haste to tally 35-40 stolen bases per season in the bigs. In a rather shallow Draft class devoid of any real transcendent talent, Buxton has separated himself from the pack in that he clearly has the most big-league potential. His quick, strong hands provide consistent power with a lot of room to grow. Throw in the fact that his unparalleled speed allows him to cover a ton of ground in the outfield as well as steal bases, and Buxton has the makings of a legitimate five-tool prospect. 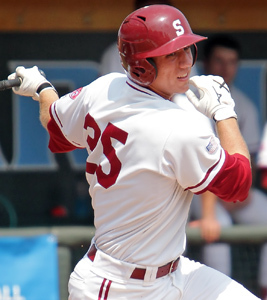 Major League Baseball’s 2012 first-year player draft is, believe it or not, just over three weeks away, with the first round of action set to kick off on Monday, June 4 and the 50th and final round set to wrap up on Wednesday, June 6. But if you’re a fan of the Milwaukee Brewers, however, odds are you’ve been anticipating the commencement of the 2012 draft for some time now. This year, the Brewers have the luxury of owning two first-round picks (No. 27 and No. 28 overall) for the second straight year. Last summer, general manager Doug Melvin and assistant GM Gord Ash annexed collegiate phenom starters Taylor Jungmann and Jed Bradley with their two top-15 picks, both of whom are expected to race through the system in the coming years. 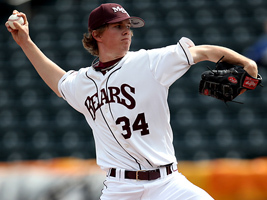 Who are the Brewers planning to target at this June’s draft? Jim Callis, executive director of Baseball America, wrote earlier last week that Milwaukee has set its first-round sights on two positional prep players in shortstop Addison Russell and third-baseman Joey Gallo. Who are these two youngsters and what do they have to offer? Let’s go in-depth and try to answer those very questions. Hitting: I haven’t had a chance to see him play in person, but based off what I’ve seen in a number of short clips, he looks like the real deal at the plate. Very quick hands, able to drive the ball to all corners of the field. Plus power for a middle infielder coming right out of high school; some of that stems from his pre-load, the rest stems from his hand and wrist speed. The snapshots below break down Russell’s swing. 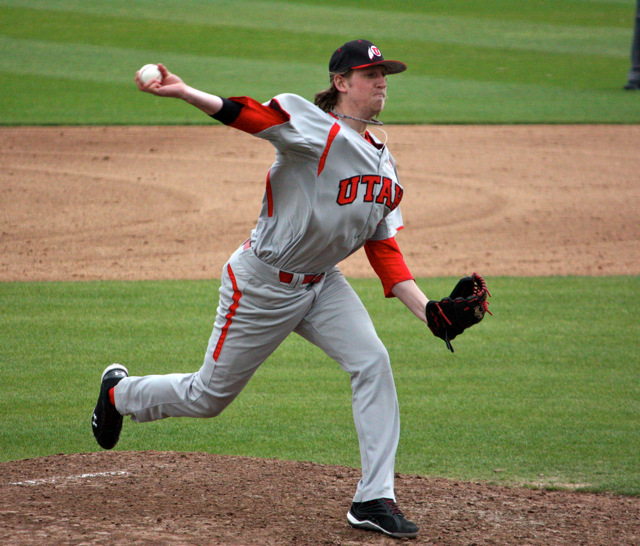 He starts out in an athletic stance, feet spread out slightly wider than his shoulders. He keeps his hands in tight to his body and doesn’t have much wasted movement. Keeping his hands in on an apparent inside pitch, he gets his bat in a downward angle to induce good bottom-spin. Russell keeps his head down on the ball after he makes contact, which shows he’s either had good coaching or he’s a natural at the plate (probably a combination of both). The biggest takeaway of this snapshots, for me, is his great balance. He keeps his back straight throughout the swing. 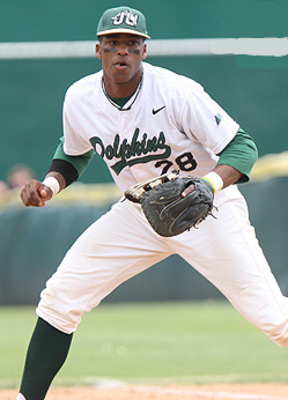 Defense: Though primarily a shortstop, Russell can also play third base and second base. Very smooth from his hands to his feet, he obviously knows the importance of having quick hands as an infielder. I’ve read that he has very good speed, so if you couple that with his natural abilities as a utility infielder, I think he has a chance to excel defensively at the next level. Overall Assessment: Unlike last year, this year’s class isn’t a very deep one. High school prep players significantly outnumber the elite college talent available. Thus, the Brewers will have to be absolutely sold on who they choose with their back-to-back picks. Still, the need for a shortstop may be the most pressing issue for Melvin and Ash at this year’s draft. After breaking down Russell’s game, I’m convinced that, if still on the board at No. 27, they should pull the trigger. 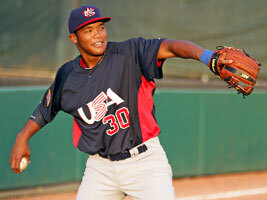 He has a seasoned, lethal bat for his age and can develop into a versatile glove in the infield. Hitting: As with Addison Russell, I haven’t gotten any chance to see Gallo play in person, so my personal opinions are based off what I see in various online clips and what professional scouts have to say. However, you don’t have to watch him in person to realize he’s got some real pop to his bat — when he really gets around and into a pitch, the ball absolutely flies off his bat. The multiple snapshots below are an attempt to break down Gallo’s notoriously power-packed swing. 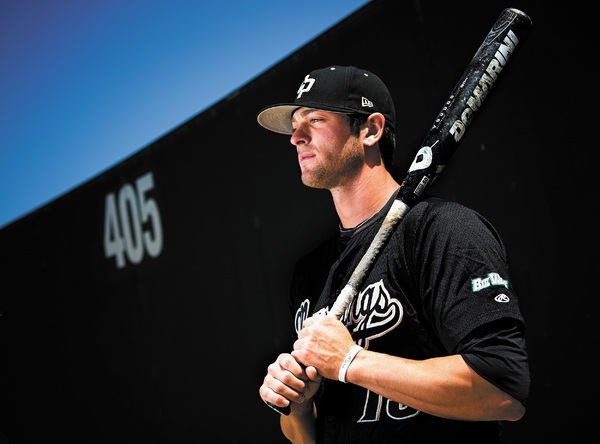 Pre-pitch, Gallo is in a very balanced, athletic stance, with his hands high and very close to his helmet — the ideal starting point for any hitter coming out of the high school ranks. On a pitch that looks like it could very well be right in the center of the plate, he is able to get great extension and drive the ball with authority. He keeps his head down on the ball after making initial contact, a sign of a very seasoned young hitter. 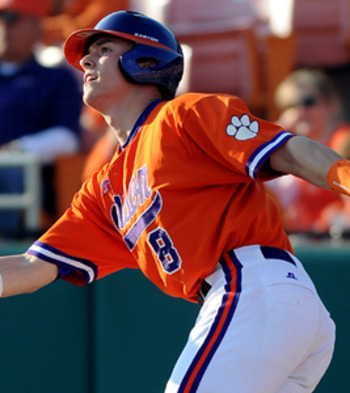 His back finishes a bit arched but that’s more a product of his tremendous bat speed — plenty of players do this and succeed at the big league level. Defense: While Gallo is obviously a physically strong hitter, he is also a fairly good athlete in the field given his long frame. He looks like he has the potential to play either corner infield positions, though I’ve been told he has much more experience playing the hot corner up to this point. I like what he has to offer at first base, however. 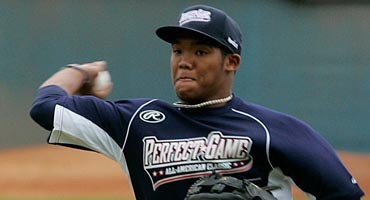 He looks like he has very good instincts at that position and his long frame would be perfect at the big league level. Overall Assessment: Gallo is clearly one of the most well-rounded players of this year’s class. 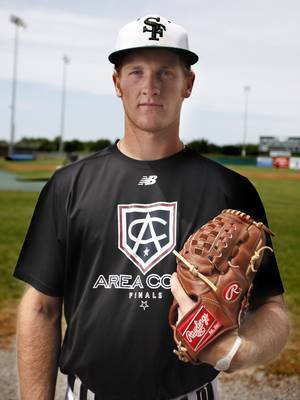 He has tremendous hitting capabilities at the plate (most notably his tremendous power), high school accolades and defensive prowess that teams would love to watch develop in their system. 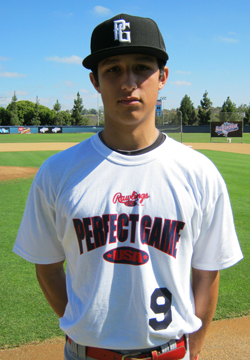 After loading up on pitchers at last summer’s draft, selecting a guy like Gallo would be the optimal pick. He’s a commitment to Louisiana State, though, so it remains to be seen if he’ll sign-on with Milwaukee at No. 28. 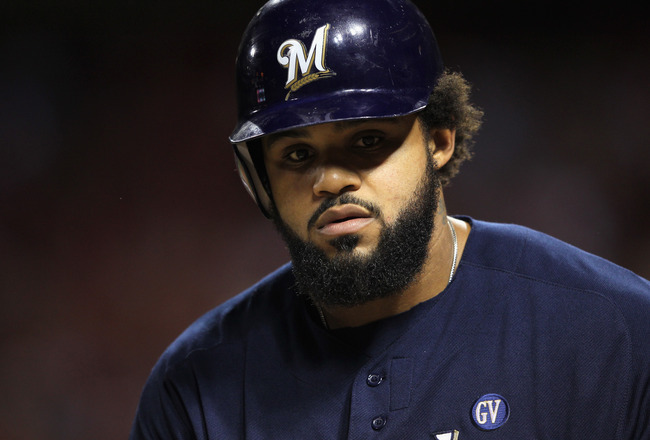 On Tuesday, the fate of former Milwaukee Brewers first baseman Prince Fielder was essentially sealed, when news broke over his reported nine-year, $214 Million contract with the Detroit Tigers. The total value of Fielder’s new deal — that will make him a Tiger through 2020 — is said to be the fourth-highest in MLB free-agent history, finishing just behind Albert Pujols’ 10-year, $240 Million offseason deal with the Los Angeles Angels of Anaheim. While it’s clear that Fielder’s decision not to return to Milwaukee will prove detrimental to the Brewers’ offensive firepower for the prospective future, it should be noted that since Fielder turned down GM Doug Melvin’s arbitration offer last month, the Brewers will receive Detroit’s first-round pick (27th overall) in next June’s draft, as well as compensatory pick sandwiched between the first-round and the second-round. Milwaukee had already maintained the 28th overall selection in next summer’s draft, and with Detroit’s pick, they’ll have the unique opportunity to have back-to-back draft picks — an opportunity that should and will not be wasted. 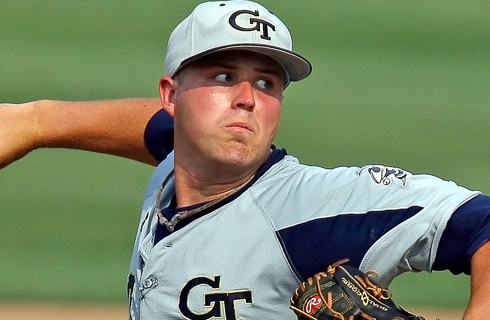 Last June, the Brewers utilized their two first-round selections to pick up Texas RHP Taylor Jungmann at twelfth overall and Georgia Tech LHP Jed Bradley at fifteenth overall, adding much-need young pitching talent to what was arguably Major League Baseball’s worst farm system. 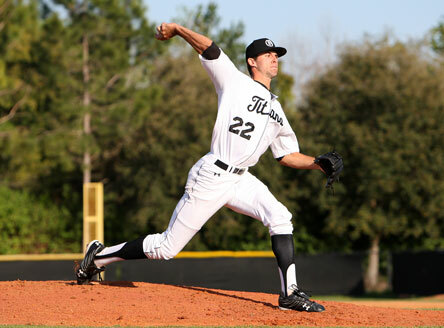 Both are highly touted prospects who are expected to skip rookie-ball as well as low-A ball to start their first professional seasons in high-A Brevard County. So while Fielder’s exit may sting for a while, it shouldn’t take long for Brewers fans to look into the future with great anticipation. Seldom to opportunities to have two first-round draft picks come along, and even fewer chances are there at having back-to-back first-round selections. Granted, the Brewers do have a ways to go in terms of getting their farm system back on track. However, it’s conceivable that the addition of three more young, reputable pitchers to their system this summer will put the Brewers right back to where they were before selling the farm for Zack Greinke and Shaun Marcum last winter. Only time will tell how management decides to use their back-to-back selections. Stay tuned to Brewers Rumors in the coming days for potential draft picks this June.